Got your hands on the Samsung Galaxy Note 3 SM-N900 and wondering what separates it from its siblings? Here’s your all-inclusive guide on what are the key differences between SM-N900 and SM-9005, the two variants of the Galaxy Note 3. In 2011, when a screen bigger than 4 inches was considered a mockery, the original Galaxy Note debuted with a ridiculously big 5.3’’ screen. Considered a mammoth for its time where people were more than happy with devices that could easily slide into your tight jeans. However, this bold decision from Samsung paid off ten times over and ushered in a new era for mobile devices. And we all know what happened next: phablets began to lure more and more people away from pack-of-smokes-sized iPhones, and even smaller Blackberry, and towards the big-screen revolution. Now that the Blackberry brand has washed away from relevance and Android taking over the mobile market, the popularity of large screen devices is owed to the early ones like the Galaxy Note series. Flash-forward to today, when phablets like the Samsung Galaxy Note continue to change the game forever. While the Galaxy Note 8 hopes to revive the past glories of its family name, you might still be more than satisfied sticking to the older and more dependable models such as the Galaxy Note 3 SM-N900 and its variants. With a large screen and a full-HD resolution which was a big deal in its time, an improved S Pen stylus that enables a whole new dimension of usage, enticing faux leather on the back that changes the look and feel of the phablet, and metal casing that finally gives the premium look that a phone of its magnitude deserves, the Samsung Galaxy Note 3 is worthy of jet setting CEOs, teenage technophiles, and everyone in between. It has superb features, top-notch hardware, a 4K camera that even gives some of the modern phones a run for their money, along with tons of storage; you name it, Note 3 has it all. In my humble opinion, it’s one of the best-made devices that you can get in the phablet section to this day, thanks to its timeless hardware that continues to give rock solid performance even after more than 4 years since its initial release. 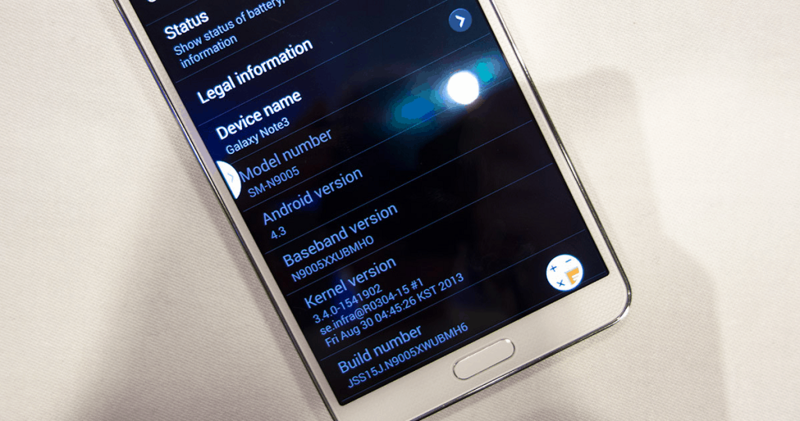 Samsung released multiple different versions of the Galaxy Note 3 phablet – SM-N900 (GSM only), and SM-N9005, an LTE/4G version. For most consumers who bought the phablet right after its release, the choice between the variants was not an option, as they were sold based on the region. Depending on which device you choose, you’ll have a different set of hardware at your fingertips, despite most of the elements being similar. Whether you’re purchasing a used Galaxy Note 3 or just want to know more about the Galaxy Note 3 variant that you own, the devil is in the details. Let’s compare the differences between the two so you can snag the perfect Note 3 to satisfy your phablet passion. Now that you’ve completely geeked out on the features, let’s explain what they actually mean. 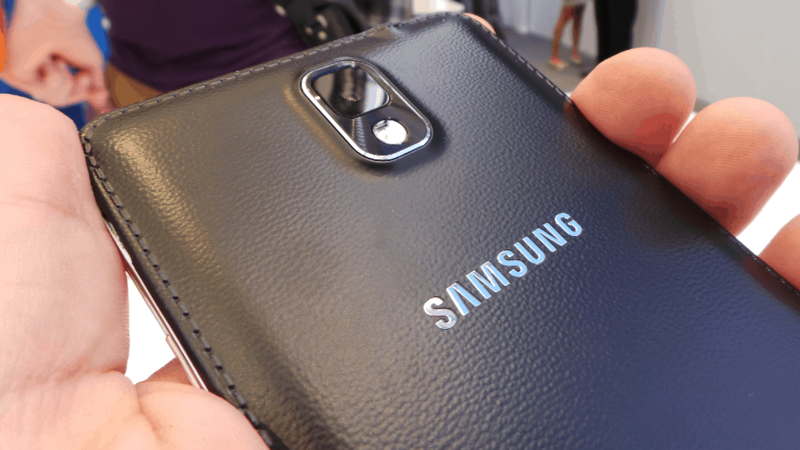 Samsung Galaxy Note 3 SM-N900 vs. SM-N9005: what’s the difference? As you can see from the complete list of hardware and software specifications above, the Galaxy Note 3 SM-N900 and SM-N-9005 are not wildly different. However, the few aspects where the two differ can be the deciding factor for many. Rather than dwelling on the hardware and software features where the variants are identical, let us look into the factors that make the N900 and N9005 stand apart. The different processor configuration comes from two different manufacturers, Qualcomm and Exynos. 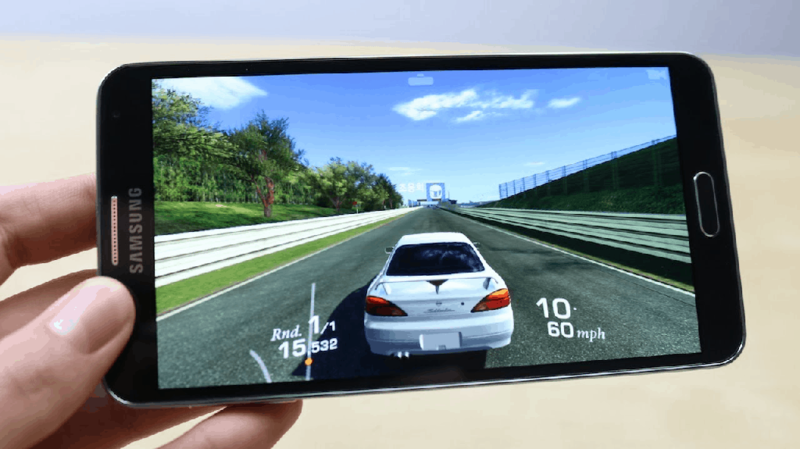 Snapdragon 800 processor on the Galaxy Note 3 SM-N9005 comes from Qualcomm, the American multi-national tech giant that designs and develops the processors for all the major Android devices today. Whereas, the Exynos 5 processor on the Galaxy Note 3 SM-N900 is developed by Samsung itself. Besides the obvious difference in number (two Quad-core processors inside the Galaxy Note 3 SM-N900), the central point of SM-N900 is in the multi-core performance. The slower processor handles basic tasks which ensure that your battery is not maxed out on regular tasks and processes, while the faster processor handles more advanced tasks such as gaming, video streaming, entertainment and more. For really demanding tasks, the two processors work synergistically to provide fluid, flawless performance; on SM-N900 you can lead the attack in Clash of Clans and upload a video to YouTube at the same time. The quadrant of the Samsung Exynos 5 processor is noted at Linpack benchmark is 1,058 and on the Quadrant benchmark at 19,989 points. However, the SM-N9005’s single Quad-core Snapdragon 800 performs a bit faster. The secret is in the higher frequency, lower energy consumption, and newer chip. Scoring just a hair above the latter with a Linpack benchmark score of 1,081 and Quadrant 20,052 points, you can expect a smooth and battery-efficient performance from the N-9005 as well. Despite the minuscule differences between the two variants of the Galaxy Note 3, the performance is regarded as pretty much similar. Since benchmark tests of the two are competitively closer and can never be tested for real-time performance, you can choose either of the devices for a high-octane user experience with heavy usage and high-end gaming. Moreover, both the N900 and the N9005 come with the similar 3GB RAM configuration, so neither of them takes precedence over the other in terms of performance. The GPU on the N9005 version is an Adreno 330, while the GPU on the N900 is a Mali T-628 MP6. Since Adreno GPU is a part of the Snapdragon architecture, you can expect a seamless graphical performance from the N9005. The difference between the two is minor in favor of Adreno, as it has more shaders, but they run at a lower frequency. Benchmark scores are slightly better on Adreno as well. When put the test, Adreno GPU on the N9005 scores a decent 68 points on the GL benchmark 2.5, along with Epic Citadel benchmark score of 47.7. In comparison, the N900 with its ARM Mali-T628 was fairly impressive as well, scoring 62 on the GL benchmark 2.5 and 41.4 Epic Citadel. As the numbers foretell, the N-9005 with the Adreno-powered GPU does have a slight edge over the N900, but the difference is once again negligible for most users. Both phones handle the demanding graphical games and apps with ease, but they both get pretty warm after gaming for several hours (yeah, it’s possible to game for hours on end thanks to Note 3’s 3200 mAh battery. Hey, a toasty phone is a small price for an all-out gaming binge fest, right?). Moreover, the 3GB RAM on both the Galaxy Note 3 variants ensures that the user experience is always zippy and buttery smooth. 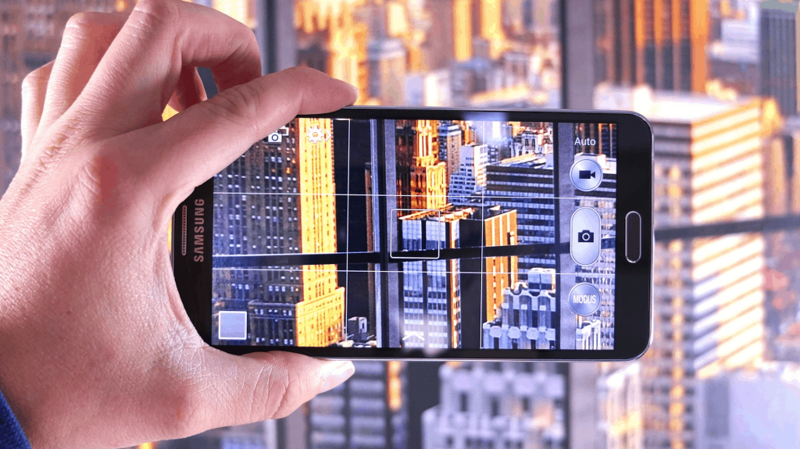 While most of the differences between the two variants of the Galaxy Note 3 have not been grandly relevant, the video camera capability may finally convince you to make the choice between the two. The Galaxy Note 3 SM-N9005 can record the videos in the resolution that is four times larger than 1080p – 4K (2160p), while the N900 can “only” record in Full HD. Albeit the 1080p recording capability by itself is more than adequate for a device that was released all the way back in 2013, pitting it against 4K recording is never going to fair well. Since most of the modern high-end Android devices sport 4K recording capability on their video camera, you’d probably want to be the user of an SM-N900 variant of the Galaxy Note 3 if you want to keep up with the competition. This is a considerable difference that’s responsible for both the quality and price bump of the 9005. SM-N9005 is among the first smartphones ever to have 4K recording capability, which is the reason it also costs more than its 1080p-bearing cousin, the SM-N900. This means you can record your favorite scenes in ultra-quality and the same goes for 60fps recording (1080p), so-called slow-motion video, compared to the 30fps scale on the N900. In short, if you’re after the best video quality possible, then the SM-N9005 is definitely for you. However, the N9005 will most likely cost you more than the cheaper variant of the Galaxy Note 3, but for most, it would definitely be worth the extra bucks. Even if you aren’t an avid user of the camera for video recording, one aspect that is very difficult to look past is the networking capability of the two variants. 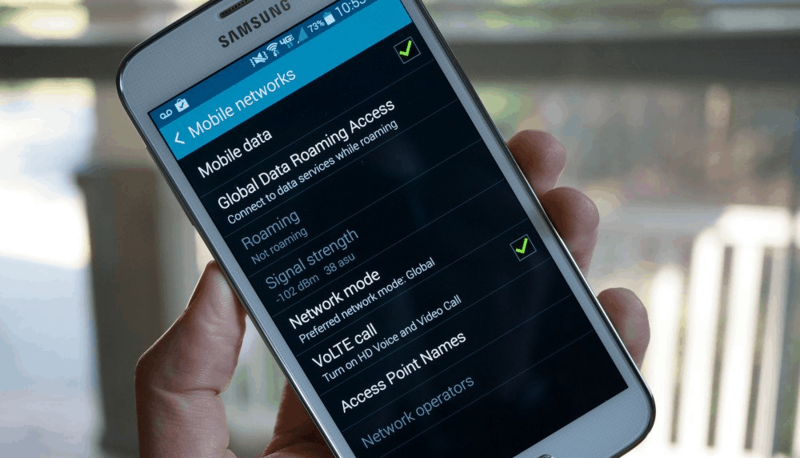 The difference in the connectivity modules is significant, as the 3G HSDPA connectivity of the Galaxy Note 3 SM-N900 can’t compare with SM-N9005’s 4G LTE in bandwidth speed. Since 3G is slowly becoming obsolete with most carriers compelling their network subscribers to switch the faster 4G network, it is hardly a choice. While back in 2013 the idea of a 3G-only smartphone would not have seemed like the end of the world, the 4G era of 2017 demands that you have the LTE capabilities of the SM-N9005 by your side. With SM-N9005, you’ll be able to stream movies on Netflix (with a screen this big, you can actually watch movies on this phone comfortably) or download them in a snap. What’s more, the unlimited data plan on 4G is pure enjoyment and has growingly become far more cost effective to the users and the network carriers themselves in comparison to the 3G network. SM-N900 offers 3G connectivity which by most standards is decent at its 42.2 Mb/s; it’s decent, but not “Wow”, as is the case with the 150 Mb/s threshold of the Galaxy Note 3 N9005 version. When looking at other aspects of connectivity such as Wi-Fi, NFC availability, Bluetooth version, and additional features like USB OTG (On-The-Go) the two models have basically the same hardware and perform identically. Note 3 is an amazing phablet – a phablet that set the standards for future phablet generations and taught the competition a serious lesson about smartphone evolution. 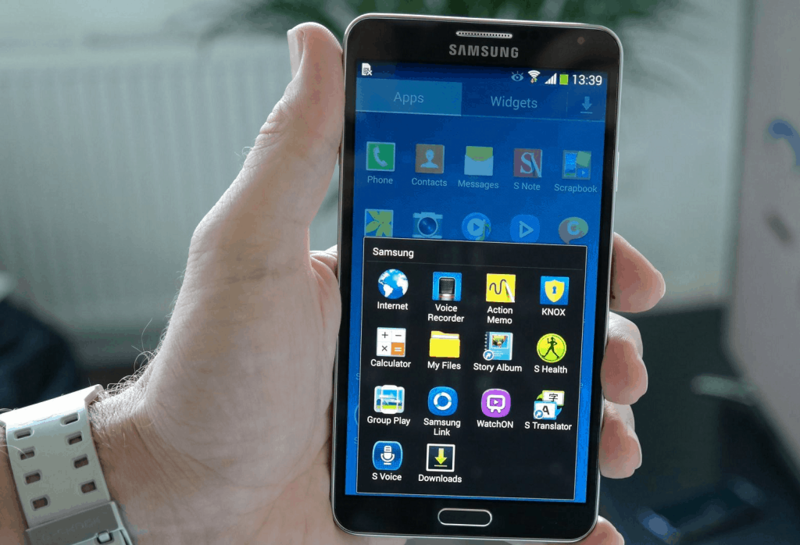 If you do have a choice over selecting which Note 3 variant you plan to use for the new couple of years or so, Galaxy Note 3 SM-N9005 is the future-ready variant in terms of network connectivity. 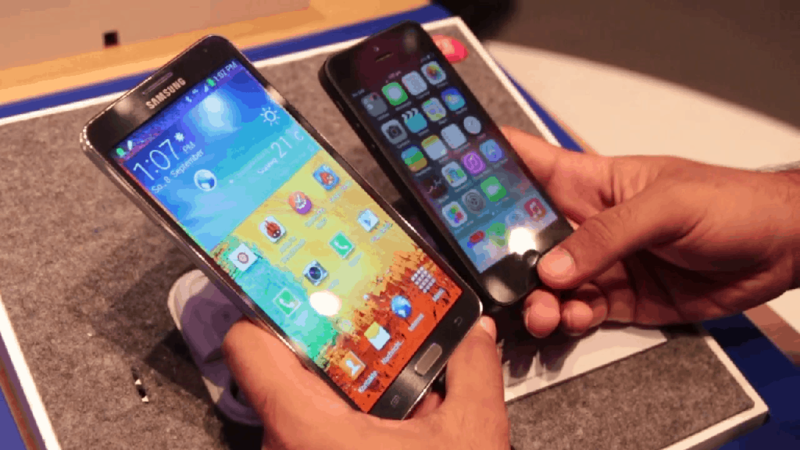 It’s not just the hardware and software aspects of the two Galaxy Note 3 variants that make them seem identical. There is virtually no way of physically spotting the difference between a Galaxy Note 3 SM-N900 and an SM-9005 version. Fortunately, Galaxy Note 3 comes with a removable battery, so all you need to do is pop off the back cover. Remove the battery and you will be able to find the device model number on a sticker right where the battery rests on the device. If you have the device in hand turned on, the simplest way to find out the model details of the Galaxy Note 3 is from the Settings app. Simply navigate your way to Settings > About phone and scroll down to find the Model section on the display screen. However, if you’re buying a brand new Galaxy Note 3 device that hasn’t been unsealed yet, you can refer to the box for the model number. It is usually located right under the model name or near the warranty seal of the box. What’s next: Galaxy Note 3 SM-N900 or SM-N9005? It can be a difficult decision to choose between two devices that are identical in looks and the most part, in performance as well. However, the small and unnoticed differences between the N900 and N9005 variants of the Galaxy Note 3 are far too important to not be discussed. You get a similar AMOLED display, the same 3200mAh battery capacity, and virtually similar processing power from the two, so what makes N9005 rise to the top? Starting off, the 4G LTE connectivity of the N9005 which might have seemed like a future-proofing feature almost 5 years ago, is an essential aspect of even the basic phones today. If you’re buying a Galaxy Note 3 today, you’re probably going to want it to be present times compatible, which the N900 (in terms of its limited 3G connectivity) simply isn’t. Apart from this deciding factor, another reason why many would be more inclined towards the N9005 is the 4K recording capability it comes with. Despite the fact that both the variants sport a nearly identical camera with the same megapixels, digital stabilization features, and aperture size, the output ratio is widely different. Since 4K recording is the set standard for most smartphones today, N9005 once again proves to be an older device that can keep up with the current range of Android devices. The only reason one could justify choosing the Galaxy Note 3 SM-N900 version over the LTE enabled one boils down to price and availability. Considering that the two devices will be 5 years old by the end of the year, the device by itself is fairly old and not many retailers are holding back old stocks of the devices, let alone the N9005 variant specifically. Moreover, since the SM-N900 is cheaper than the N9005 version of the Galaxy Note 3, you will most likely find more of those out there. Either way, we recommend the Galaxy Note 3 SM-N900 to users who aren’t too hot and bothered by the missing LTE connectivity and can do just fine on 3G network, and don’t mind recording videos at a default 1080p resolution (which is still pretty impressive). Now that you know the key differences between Samsung Galaxy Note 3 SM-N900 and SM-N9005, which Note 3 do you like better? Are you already a proud Note 3 owner? Which model did you choose and why? Let us know in the comments below, or visit the Updato forum to tell us all about it!